If you have a cat you might be interested in this coupon! 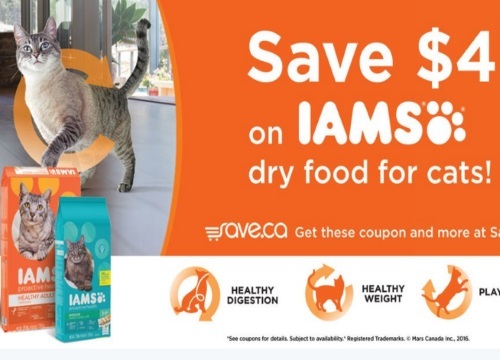 Save.ca has a new coupon for $4 off Iams dry food for cats. This applies on 1.95kg-10kg any variety cat food Iams bags.